Posted December 4, 2012: Karapatan’s end of the year report documenting the more than 45 extrajudicial killings during 2012 and the hundreds of other human rights violations due to President Aquino’s intensification of his “counterinsurgency” program Oplan Bayanian (click on pic to access pdf). Posted July, 2012: A pamphlet by the Canada Philippine Solidarity for Human Rights on how to set up a “free committee” and how to adopt a political prisoner in the Philippines (click on the pic to download the report). 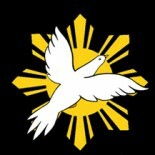 Posted April 1, 2012: Karapatan’s Year End Review on human rights in the Philippines for 2011 . Karapatan focuses on how the Aquino administration and the Philippine military have been sugar coating their language and how their counter-insurgency program, while claiming to focus on community development, actually hurts the communities it claims to help. Karapatan counters the military’s claims by showing how human rights violations against the people and national democratic activists have not let up (click the pic to access pdf). Posted November 28, 2011: Amnesty International’s report to the United Nations Universal Periodic Review (UPR) linking extrajudicial killings, enforced disappearances, and an overall culture of impunity to the Philippine government and military (click on pic to access report). Posted July 19, 2011: Human Rights Watch report on extrajudicial killings and enforced disappearances against mostly national democratic activists and leaders. The report also details the Philippine military’s black propaganda in linking disappeared activists with being members of the communist New People’s Army (click on pic to access report). Posted December 1, 2010: Karapatan’s end-of-the-year review of the human rights situation in the Philippines for 2010. Despite president Aquino’s rhetoric of hope and change Karapatan finds that there has been dozens of extrajudicial killings linked to the Philippine military and Aquino’s counter-insurgency program Oplan Bayanihan (click on pic to access pdf. Posted November 16, 2010: Human Rights Watch Report on the role of state and landlord-backed militias in the Philippines and the role of militias during the Maguindanao Massacre in 2009 by the president Arroyo backed Ampatuan clan (click on pic to access report). Posted December 9, 2009: Karaptan’s end-of-the-year-review on the human rights situation in the Philippines fro 2009. The report focuses on the atrocious human rights legacy of outgoing president Gloria Macapagal-Arroyo and her counter-insurgency programs Oplan Bantay Laya I and II and the over 1,00 victims of extrajudicial killings the program left in its wake. It also focuses on United States support for these counter-insurgency programs (click on pic to access report). Posted Dec. 10, 2008: This report reviewed the eighth year of Glorria Arroyo’s presidency and reviewed the governments “efforts to curb” extra-judicial killings and enforced disappearances. Despite a drop in killings there were 64 political killings that year which by then had pushed her total up to 991 killed and 201 disappeared (click the pic to access the pdf). Posted March 31, 2006: A publication by the NDFP on all major agreements signed by the Philippine Government and the NDFP. This book covers some of the major agreements such as the Hague Joint Declaration, JASIG, CARHRIHL, and the Joint Agreement on Socioeconomic Projects (click on pic to access pdf).